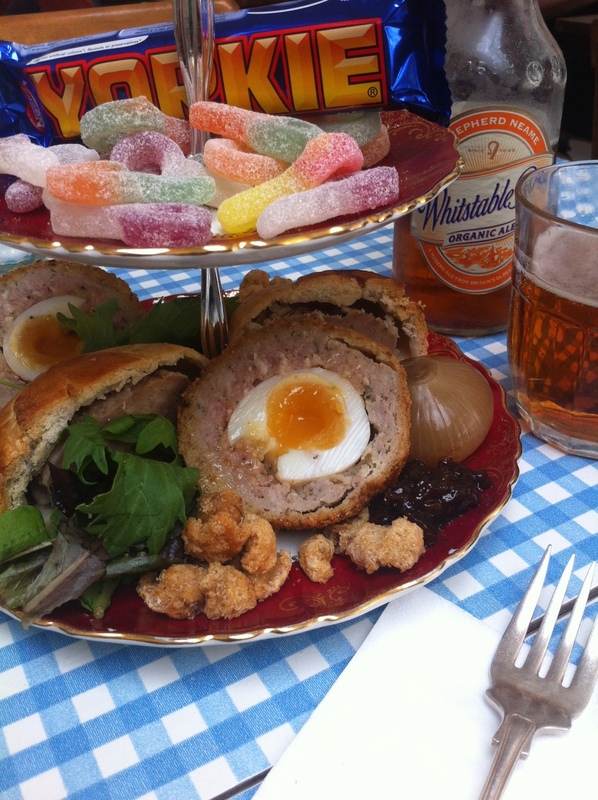 Our traditionally quaint afternoon tea is evolving with pleasantly quirky and boozy results. Here's a roundup of some of the best in town, categorised by type (of poison) below. Any decent afternoon tea gives the option for a glass of France's finest these days, but here are a few of our noteworthy favourites. 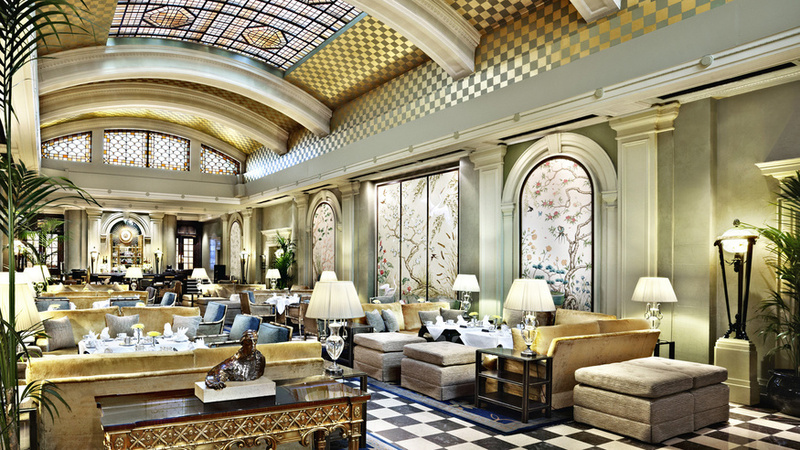 Unrivaled home of the champagne bar, Claridge's Hotel serves up freshly baked scones with its house Marco Polo jelly and sweet pastries in the grand Art Deco foyer and Reading Room, with a selected glass of fizz. The serene setting, attentive service, knowledgeable staff – not to mention the celeb spotting potential (should that be your thing) – make it the most sought after of midday retreats. Claridge's, Brook Street, Mayfair, London, W1K 4HR, 020 7629 8860. Champagne Afternoon Tea, £61, daily 3.00, 3.30, 5.00 and 5.30pm. Please note that due to the holiday season, they are now fully booked until January 2014. 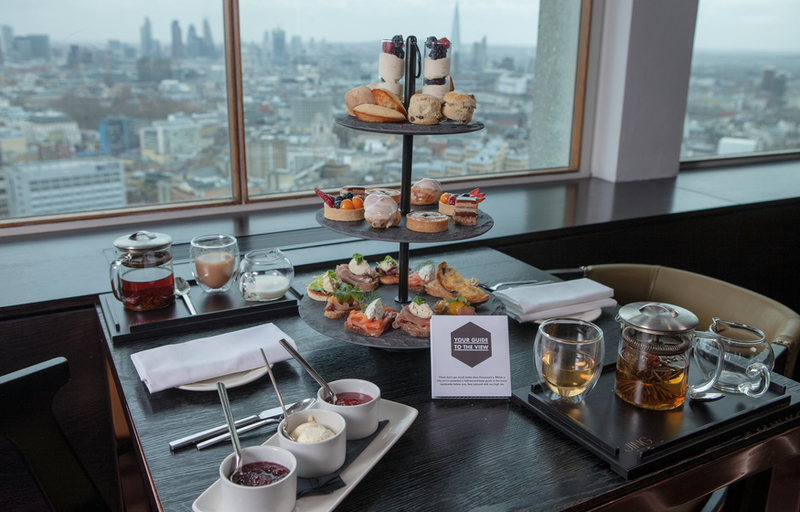 The highest of high teas, situated on the 32nd floor, it's even higher than dining at the Aqua Shard (by one floor, admittedly). Bronze and deep red hues, custom copper-clad bar and panoramic views make this an accessibly sophisticated destination for a spot of quintessentially British sandwiches and quiche of the day. Post-tea you can venture up to the the viewing gallery on the 33rd, nab a sofa, another drink and take in the city. See Also: Er, The Aqua Shard Paramount, Centre Point, 101-103 New Oxford St, London WC1A 1DD, 020 7420 2900. Afternoon tea with Champagne is £42 or £28 with tea. Please note, During December high tea can only be booked 3pm-5pm on Sunday only, and will revert back to the daily schedule in the new year. Fancy free flowing champagne? Course you do (hence reading an article about legitimately drinking in the middle of the day). Over the festive season, you can opt to have two hours of unlimited Moutard Champagne when ordering either the Vintage or Gentleman's afternoon tea at the Reform Social and Grill at the hotel every weekend, before the new menus are launched at the start of 2014. Reform Social and Grill, The Mandeville Hotel, 8-14 Mandeville Place, London, W1U 2BE. 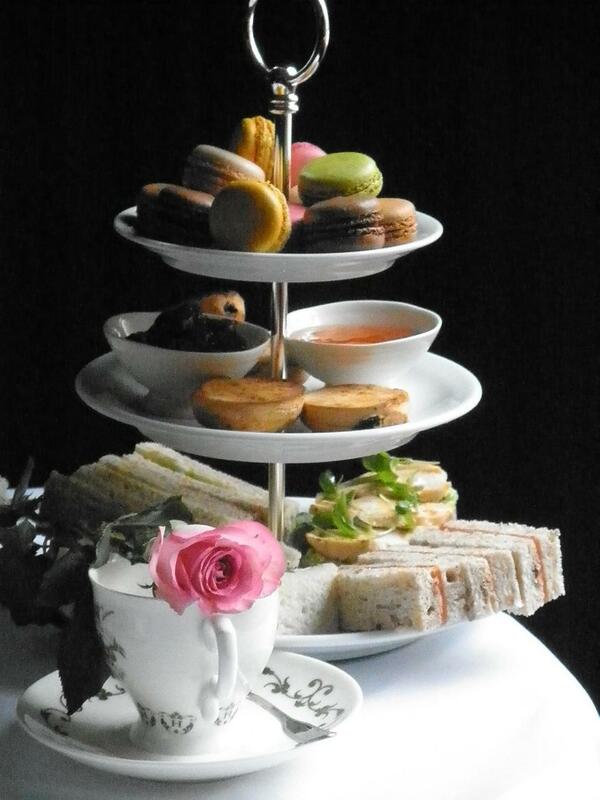 Afternoon tea with unlimited bubbles is £32.50 (£26.50 without) and valid every weekend until 19 January 2014. An afternoon tea that's on the top of everyone's list on World Gin Day is still going strong – where the cocktails and edibles are all created in-house by bar manager Pedro Solorzano and his team to complement the cucumber and rose botanicals in Hendrick's most 'peculiar' gin. Hush, No. 8 Lancashire Court, Brook St, London W1S 1EY, 020 7659 1500. 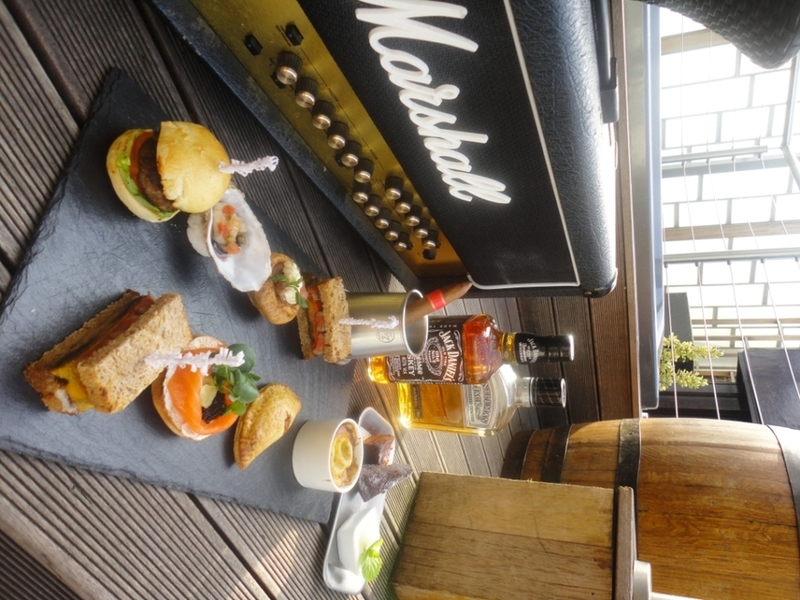 Hendrick's High Tea is £26.95 and available Monday-Saturday, 3pm-6pm. A Cocktail Masterclass can be purchased for an additional £30. 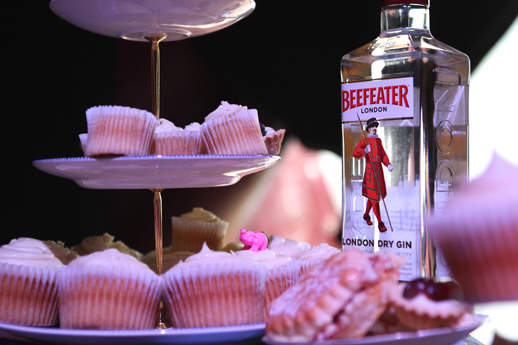 The knowledgeable and wickedly witty Gin Dollies are the formidable force behind the proceedings at G and Teatime, where gin tastings, talks and Q and A sessions put an educational, and very sloe-soaked, slant on the traditional afternoon tea. G and Teatime events take place around the country, with London dates every month. If dainty sandwiches and elegant flutes of fizz are not substantial enough for you, head to plush boutique hotel Sanctum Soho to chow down on the Gentleman's Afternoon Tea — hearty sliders, pastries and Yorkshire puds, not to mention the double-baked Jack Daniels fudge cake (drool). All rounded off with a Villiger Export Cigar on the roof terrace. Plus, you get a Tankard of Gentleman Jack Whiskey. A tankard. Sanctum Soho Hotel, 20 Warwick St, London W1B 5NF 020 7292 6100. Gent's Afternoon Tea is available (regardless of gender. We assume) Monday-Friday, 3-5pm. Cigars can be upgraded to a Cohiba for £16pp. As the trend for pairing food with cocktails instead of wine gains momentum, the Drake & Morgan chain launches an 'Afternoon Libation Menu' in the new year. While, strictly speaking, not a truly British Afternoon tea, it still promises to hit the spot. Three courses of Spanish meats, breads and desserts matched with a flight of drinks – bubbles, 'George's Marvelous Medicine' and a rose martini – will be rolled out in all six venues around Canary Wharf and the City next month. Venues: The Refinery, The Parlour, The Drift, The Folly, The Anthologist and The Happenstance. Check the website for updates. Stylish, contemporary and chic sky-dining provides tea with an idiosyncratic twist, not only can you spoil yourself with two cocktails instead of the usual one, all the savoury elements have been banished from the plate resulting in a playful, and super sweet, treat. In true Harvey Nics' style, the menu changes with the seasons. Right now, you can indulge in some Christmas pudding and mulled wine poached pear. Oxo Tower, Oxo Tower Wharf, Barge House St, South Bank, London, SE1 9PH, 020 7803 3888. Not afternoon tea, £24.50/£34.50 (includes one/two cocktails). The King's Cross-based venture is a hub of activity where you can eat breakfast, have a leisurely lunch, get a makeover or even craft corsages and garters (oooh) during the day, and then drink and dance into the night. When it comes to taking tea, it has a whole range – the standard offering includes a cocktail, the Gent's Tea comes with beer/ale (and a Yorkie bar), you can get a 'Night Flight' of sparkling wines or, if you're feelings flush, the Mrs Sparkles comes with unlimited Prosecco. The schedule is pretty packed with things to eat/do, so please see explore the website for details.